Modern and contemporary are two terms that can be used synonymously to describe kitchen styles that refer to whatever’s currently in style for the year or season. Today, modern kitchens evoke clean lines and simple styles with designs that focus on the proper use of open space for a highly functional kitchen. Whether you’re interested in transforming your current kitchen into a modern or contemporary space, or you’d just like to update some elements of your kitchen to incorporate some modern design, we have some essential tips for creating a contemporary style kitchen of your own. While Granite and Laminate are still popular choices for countertop materials, modern kitchens are all about simple designs that highlight the superior materials. Quartz countertops are stronger than Granite and never need to be resealed, making them a great option for homeowners who love the look of Granite but want something more reliable. 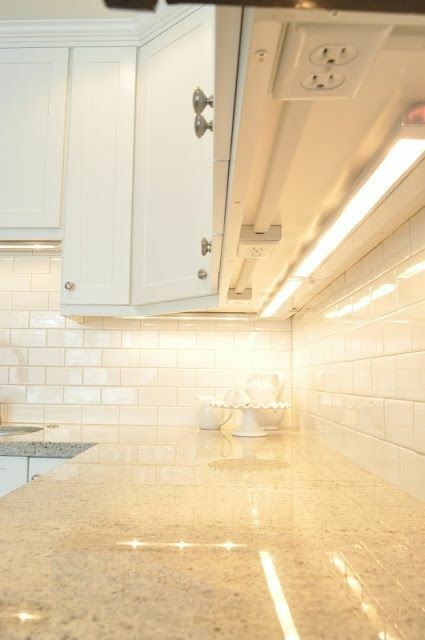 Corian Solid Surface countertops also offer strength and durability, but are more affordable than Quartz. 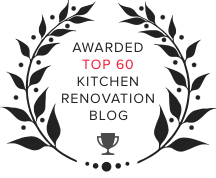 In the past, backsplashes were either left out of kitchen remodels, or installed only as simple displays of design for serving the purpose of keeping the kitchen clean. For contemporary designs, homeowners are doing away with white subway tile and opting for something with a pop of color to bring some personality to the room. Popular styles today include metallic tiles, ceramic mosaics and colorful glass patterns. 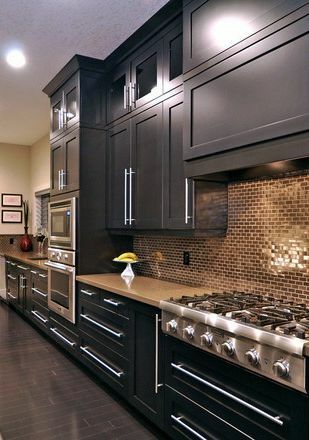 The easiest way to pull off a modern kitchen design is to update or reface your cabinets with simple styles. 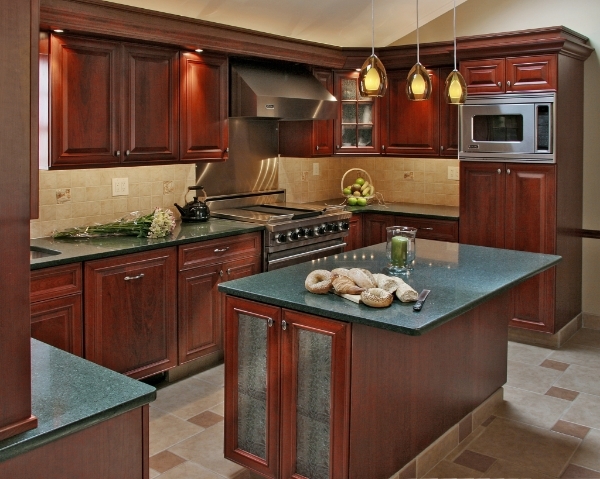 Think Prestige Plain, Amesbury or Prestige Shaker Plain for cabinet door styles. The fun part about modern style kitchens is that they typically pair these simple cabinet door styles with new colors. 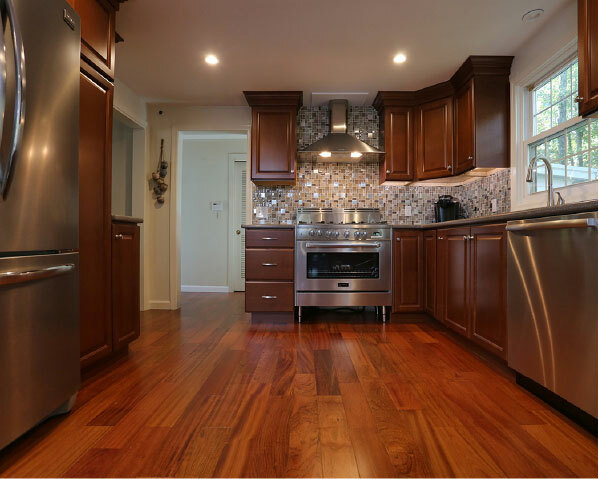 Rather than opting for a natural wood color like Classic Cherry or Hard Rock Maple, you can go for something out of the ordinary, like a patterned or textured look with two different colors. 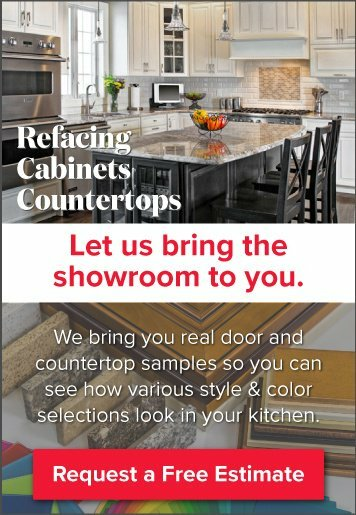 Check out our article, “4 New Door Colors for Modern Kitchens” to see new patterned cabinet door colors. Another popular door color in contemporary design is the use of gray. 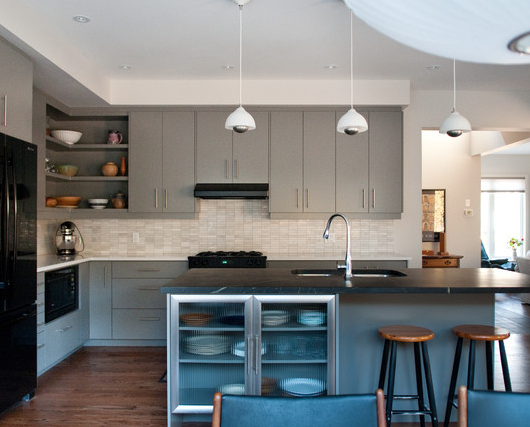 Whether it’s a light or a dark gray, these fun door colors bring a new appeal to the space and set your kitchen apart. Keeping with the simple design scheme, modern kitchens often have sleek hardware (and sometimes no hardware) to match the simple cabinet style. Think pulls rather than knobs and silver rather than brushed bronze when it comes to your accessories. Again, the key is to place focus on the materials, so limited use of decorative accessories help to keep the style clean and open. For more images of contemporary kitchens, view our modern style kitchens page.